Create a place in your home where stories are made. Perfect for nurseries, living rooms, or dens, this Amish Old South Rocker will endure for decades of cozying up to a good book, or rocking your baby to sleep. The ideal gift for the Mother or Grandmother-to-be, this staple in American family households will stand up to the test of time. 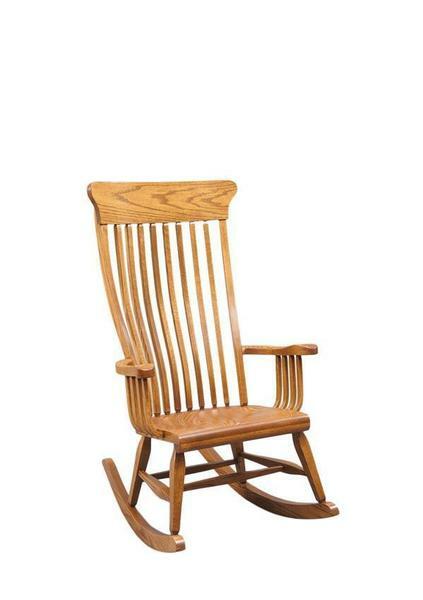 Choose from our many wood and stain options to match this Rocker to any room. We also offer our Amish Arrow Back Rocker. Oak wood and brown maple wood are available in a quick ship program. Seating Between Arms: 20 1/2"